This was a spendy week at Casa Buelo. It wasn’t a quickly thought-out decision, but we did finally pull the trigger on a pretty big purchase – a new bedroom set! We just got it set up last night and wow.. does it ever make me feel like a grown up to have legit furniture. I felt like we were sleeping in a hotel on that bed last night! I will blog about it shortly, but there’s lots of prettifying to do before I feel like sharing it with the Internet. However, I do have a little bedroom project to share for this week’s Practically Free Friday post. 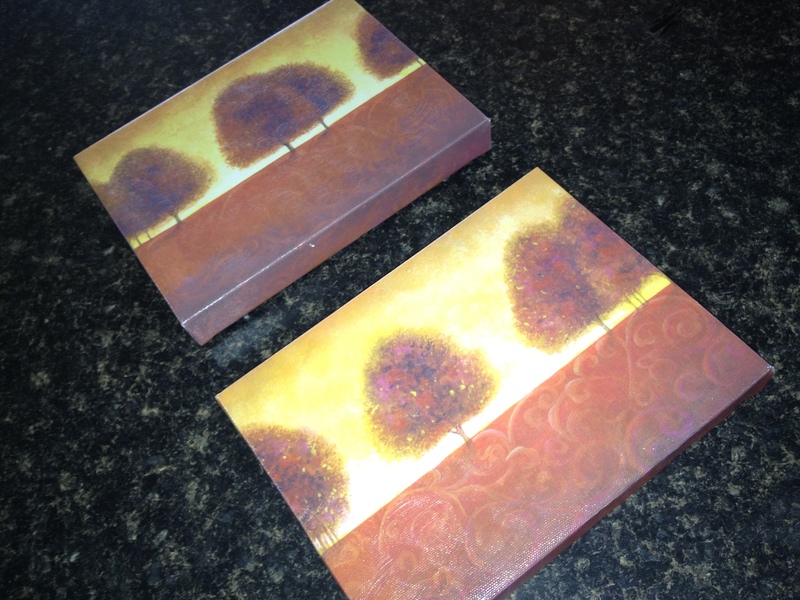 To make these little prints, I used some painted canvases I picked up at the stuff swap I hosted earlier in the summer. They weren’t the ugliest thing in the world, but I certainly didn’t snag them for the existing design. These are the perfect things to pick up at thrift stores, too: you can do tons of different things with canvases. Then I found some photos of butterfly specimens online and printed them. I rounded up two scrapbook papers with pretty, subdued designs. 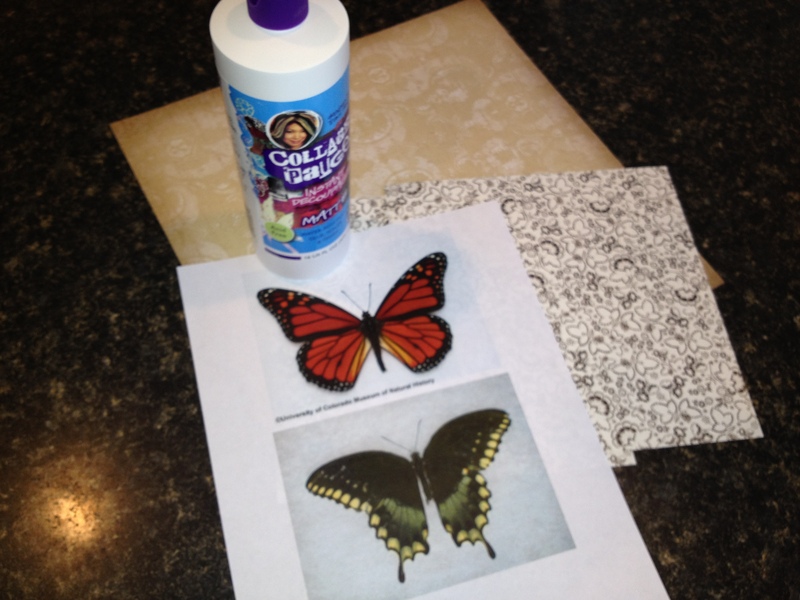 I simply used a mod podge medium to adhere the scrapbook paper to the canvas. 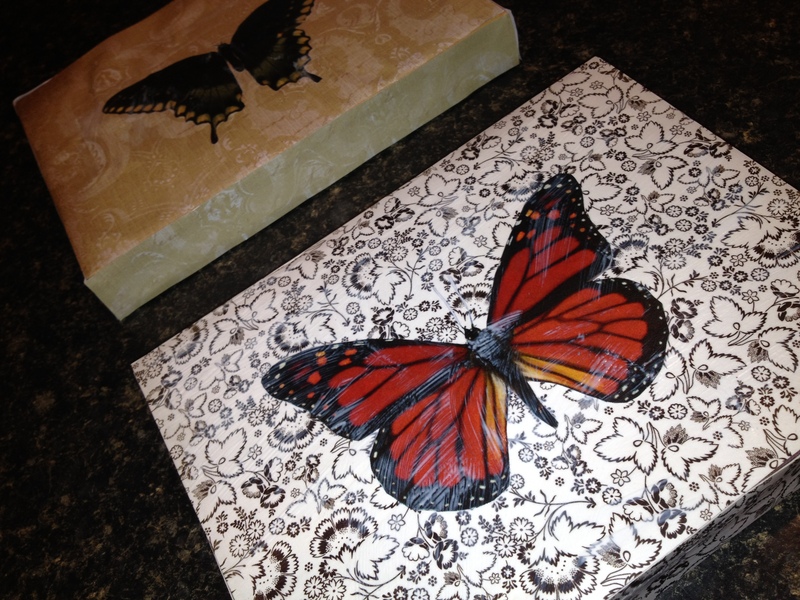 While it was drying, I carefully cut out the butterflies. Then I mod podged them to the scrapbook paper. Simple. 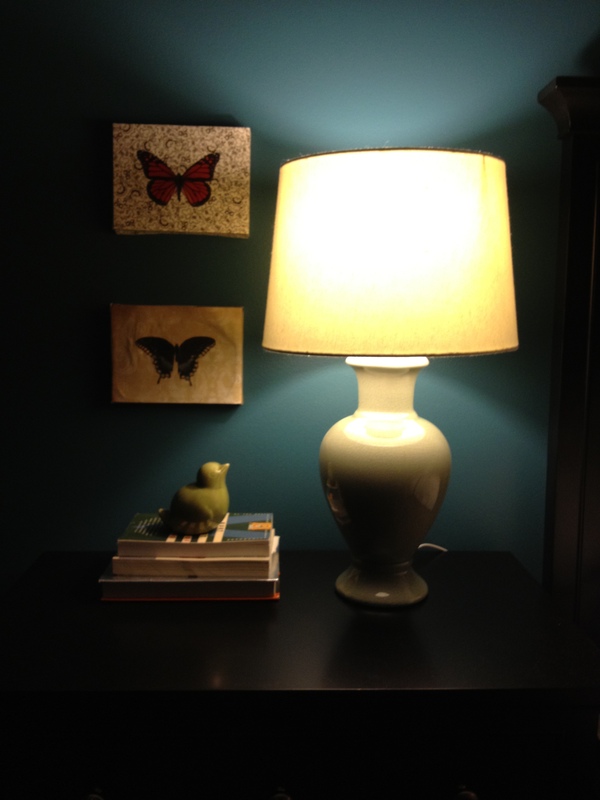 I won’t debut the rest of the bedroom redo, but for now, here’s where the butterflies landed.. above my night stand. I really like how they turned out! This easy project was actually 100% free since I used what I had on hand. Not bad, and much needed budget friendly wall art after our shopping spree! 🙂 Happy weekend!